Yesterday, I was waxing lyrical about some of the fabulous road-based metal winging our way in 2017. There’s some utterly gorgeous and very much not-pointless stuff coming, not least the mightily pretty Maserati Alfieri. Sadly, 2017 also appears to be the year of the “Ugly and Pointless” car. And today has seen three marvellously good (bad?) examples of this. POINTLESS, UGLY AND NEEDLESSLY EXPENSIVE. ER… THANKS? A supremely ugly car, yesterday. Sporting stripes stolen from a Ferrari. 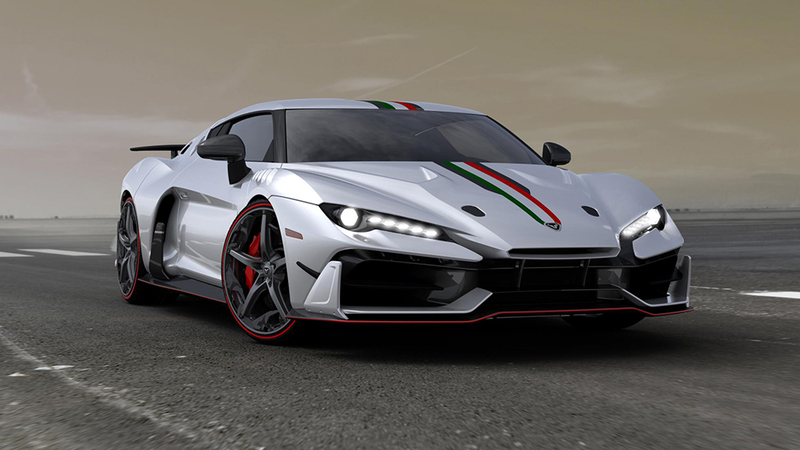 The above image is the Italdesign Automobili Speciali. Yes, Italdesign, the famous coachbuilder that can trace its roots back to the late-60s heyday of gorgeous, fast Italian cars. Now, I’ve no doubt the IAS will be fast. It’s basically an R8 in a fancy carbon fibre frock, so owners will get the VW Group’s tried-and-tested (and utterly spectacular) 5.2-litre V10 howling behind their heads as they hammer their way from 0-62 in about 3.2 secs and on to a top speed a little north of 200mph. So far, so lovely. AARRRGGGGHHHHH!! NO! MY EYES! MY BEAUTIFUL EYES! Did you manage not to be sick? If so, congratulations! You’re clearly the market they’re aiming for. 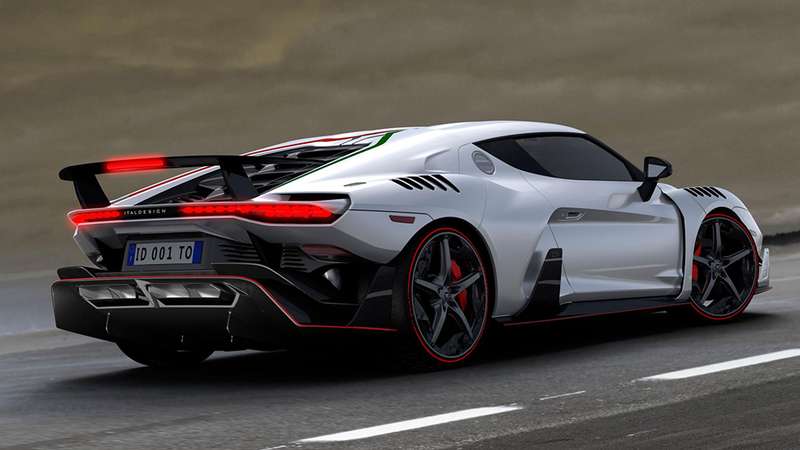 In their press release Italdesign bang on about “the tornado line”, “high impact” and daring “beyond all limits”. Thankfully, your chances of having your retinas burned out by seeing one in the flesh is minuscule as they’re only making five of them. We should be grateful for small mercies, I suppose. Would you like the real kicker though? They’re apparently going to be asking north of a million quid for this thing. A million quid (plus). For an Audi R8 in a really, really ugly dress. THIS POINTLESS NICHE FILLING MUST STOP. PLEASE. Because what the world and our over-crowded roads really needed was another SUV. Remember the good old days when a car company made three, maybe four models? You’d have the little hatchback runabout, the family saloon/wagon and then maybe something big and flash for business types. Even throwing in a few different trim levels, you’d never have more than 12, maybe 15 variations to consider. I yearn for those days. Have you had a look at how many models Audi, BMW and Mercedes offer these days? How many niches they’ve filled and invented? Every model seems to have a myriad variations. Hatchback, sportback, saloon, estate, shooting brake, convertible, coupe, all-road, SUV, SUV-Coupe… The list is endless. And that’s before you start chucking in trim levels, option packs and horridly garish stickers. The mind boggles. Yet Jaguar Land Rover have clearly decided that, what we need, what we absolutely, desperately cannot live without is another SUV. One with a giant glass-roof (you know, so that with the merest hint of sunshine you can be simultaneously blinded and broiled in your skin) that occupies the three inches of room in their range between the Evoque and the RR Sport. 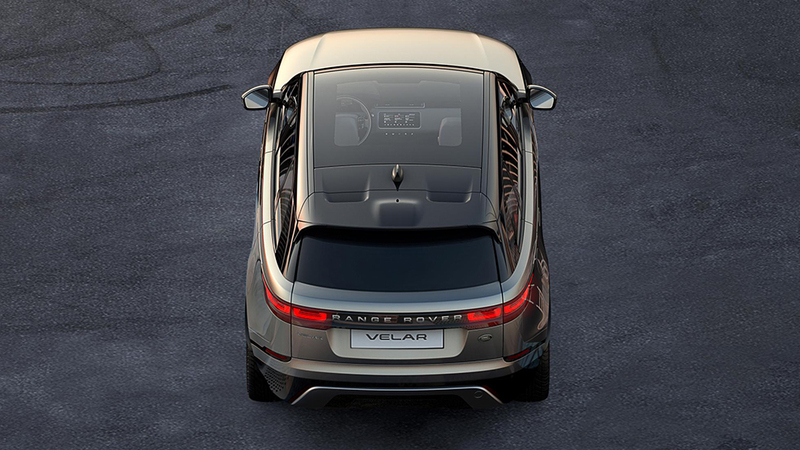 They’re calling it the Velar which, despite the way it sounds, is not a Klingon delicacy. Other than that, we’ve very little in the way of specifications. It’s a safe bet that JLR’s four and six cylinder Ingenium engines will feature, probably with forced-induction of some sort. A completely pointless V8 model that weighs as much as Parliament and goes like a stabbed warthog will probably be along at some point too. Who’s going to buy this though? Surely anyone that wants a JLR SUV but thinks the Evoque is too small and the RR Sport too big or brash is going to buy a Disco Sport or a Jaguar F-Type. Isn’t this going to cannibalise sales from those models? I don’t get it. But then again, I’m definitely not the market for this. Gerry McGovern said that the Velar “changes everything”. I’m not sure how. It’s just a slightly swollen Evoque / shrunken RR Sport (delete as appropriate). Maybe it’ll be made of recycled leaves and ripe Camembert or something. FORMULA 1 – THE PINNACLE OF RACING. AND UGLINESS. 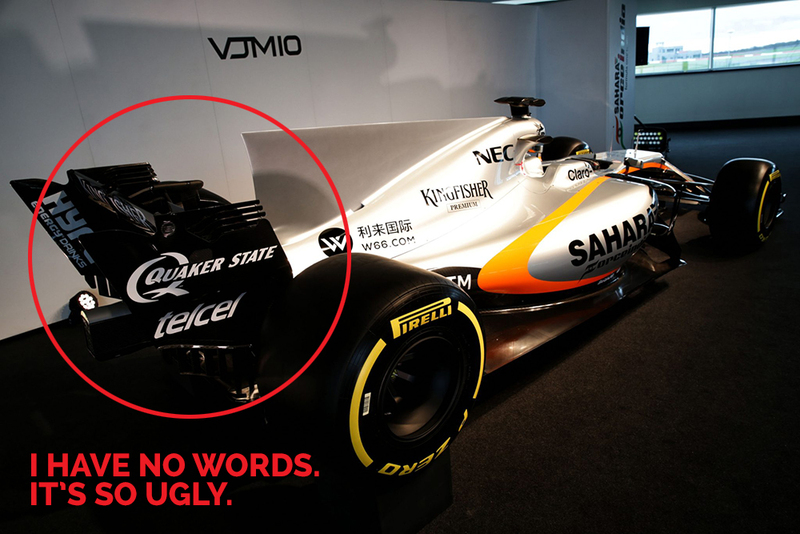 Lastly, let me address the new Formula 1 cars. Or, more specifically, car. As the new season races into focus, teams are beginning to reveal their 2017 cars. 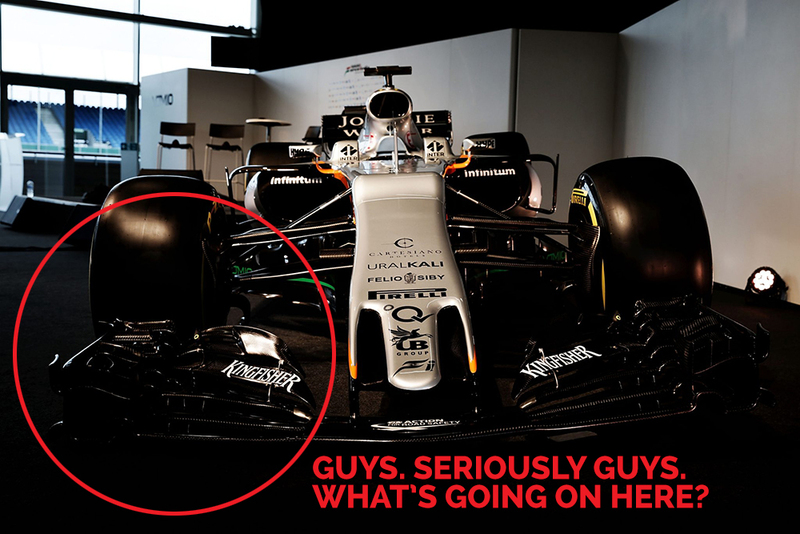 Well, the 2017 Sahara Force India car has just been shown to the press and… er… Oh my. I’m really not sure what to say, to be honest. Obviously Force India will have worked incredibly hard to achieve maximum performance within the new technical regulations. However, I’m assuming that F1 bosses weren’t aiming to have people screaming in terror every time a car appears on screen and dashing to cover their children’s eyes, lest they be scarred for life. The front wing, in particular, is an absolute horror story, looking as it does like a terrible Photoshop clone-stamp mistake. At first I thought this was a joke. One more person jumping on the ‘fake news’ bandwagon. So I checked the official F1 site and, nope, there it was. In all its, for want of a better word, glory.